This year, the Western Kentucky State Fair is undergoing some exciting changes. With new events and a new outlook on what the western part of the state needs in an annual fair comes a brand refresh. And it all started with the iconic Western Kentucky State Fair cups! 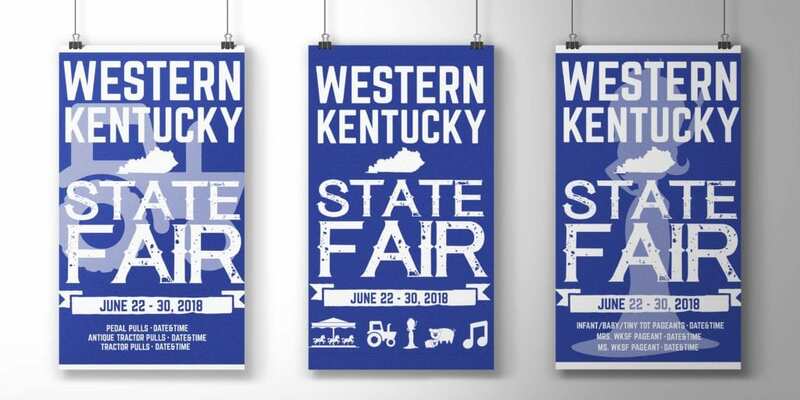 When Williams Advertising won the bid for producing the custom stadium cups sought after year over year at the Hopkinsville-based fair, we put our design skills to work to provide branding and logo design services for the WKSF while we were at it. Check out the upcoming fair activities, including this year’s special feature event – Colt Ford in concert! PS: Don’t forget to stop by the pink booth and see the ladies of Junior Auxiliary for the best pork chops in Western Kentucky.